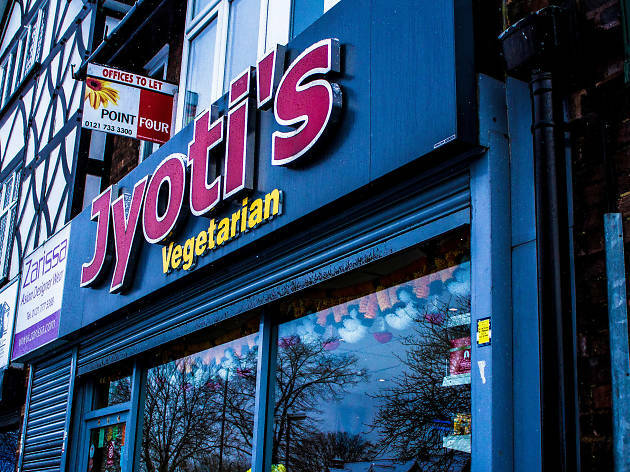 Long before any Michelin stars came to define top eateries in town, it was the Indian restaurants in Birmingham that lit up the city’s gastronomical scene. 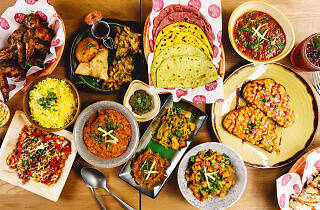 Brummies primed their palates with exotic spicy flavours brought here by migrants from across the Indian subcontinent. 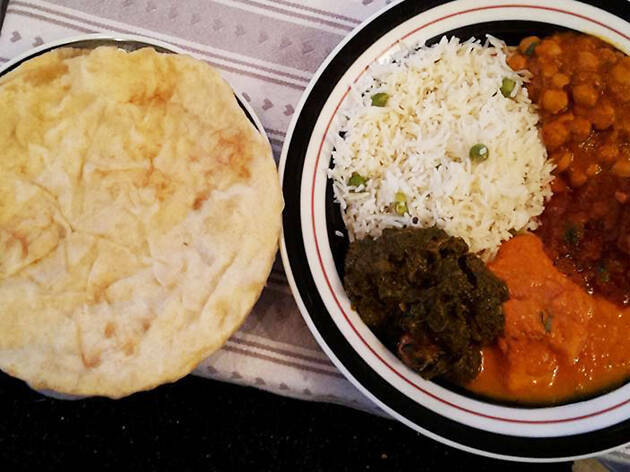 Soon, every neighbourhood had a local curry house or three and, in the 1970s, a Pakistani genius from Sparkbrook invented the balti – a type of curry served in a "baiti bowl" (a thin, pressed steel wok) that many consider to be the unofficial national dish. The rest is history. 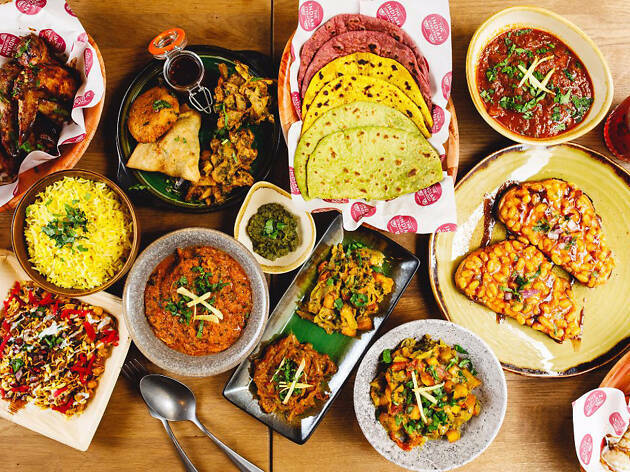 Today, Birmingham has it all, from Bombay-style street food and sweet centres, to Gujarati vegetarian cafés and progressive Indian fine dining. We suggest you try it all, of course. 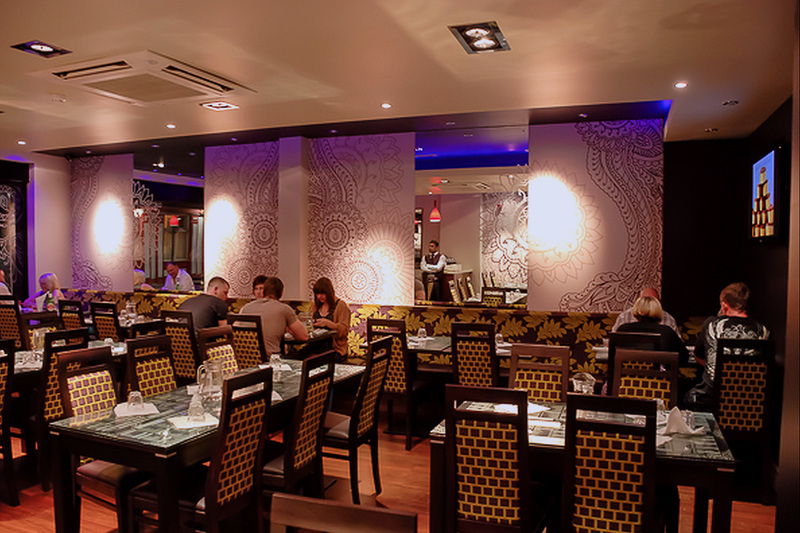 Birmingham superchef Aktar Islam is going for broke with this swanky progressive Indian restaurant on Summer Row. 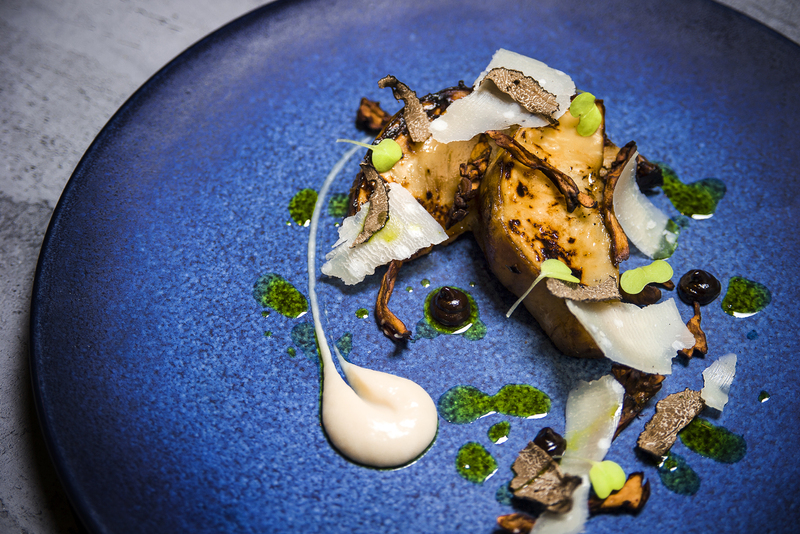 The former chef at Lasan and an award-winning star of various TV shows has pledged to ratchet Birmingham’s Indian fine dining offering up a few notches with Opheem, and he’s not messing about. From the stunning cherry-blossom decked bar to the bustling open kitchen, the emphasis is firmly on style and expression. And his stupefying reimagining of Indian classics like laal maans and hyderabadi biryani is truly inspired. 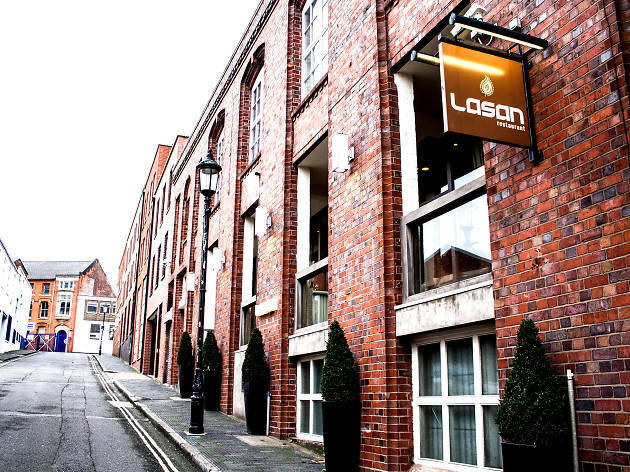 Possibly Birmingham’s best-known Indian restaurant, Lasan has ridden a wave of publicity ever since it was featured on Gordon Ramsay’s The F Word in 2010 and is one of the showpieces of the city’s rich Indian food tradition. 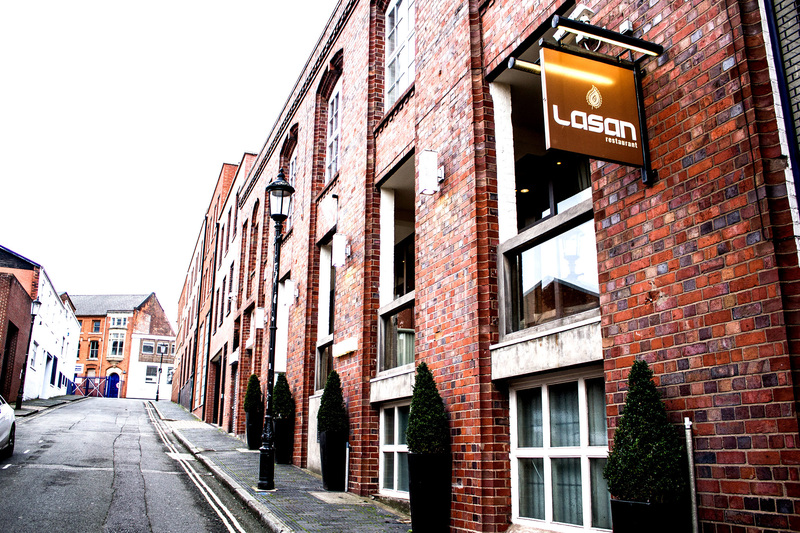 Lasan is located among the quaint Victorian buildings of Birmingham’s Jewellery Quarter, backing onto the leafy St Paul’s Square, making it a great little spot for bar hopping and restaurant dining. 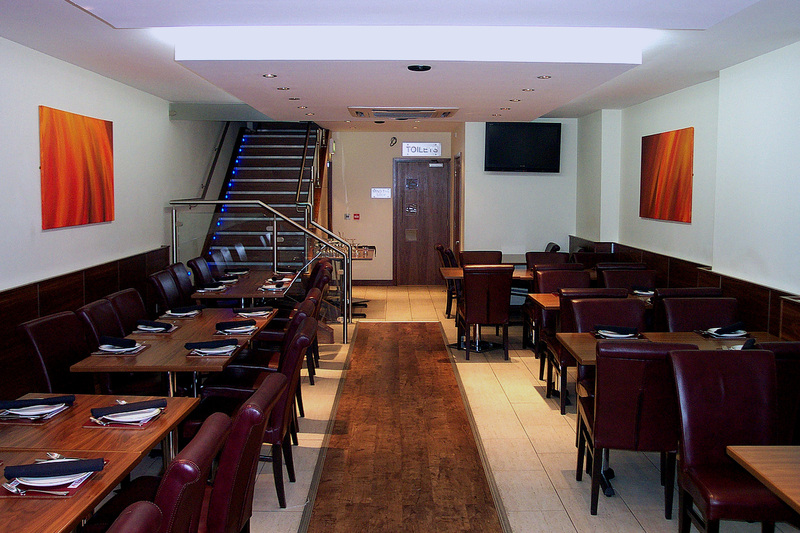 The jewel in the crown of the JQ, Rajdoot is a lesson in luxury for all Birmingham curry houses. It has graced the city in one form or another for nearly 50 years and claims to have fed members of The Beatles and Pink Floyd, and even Princess Margaret. 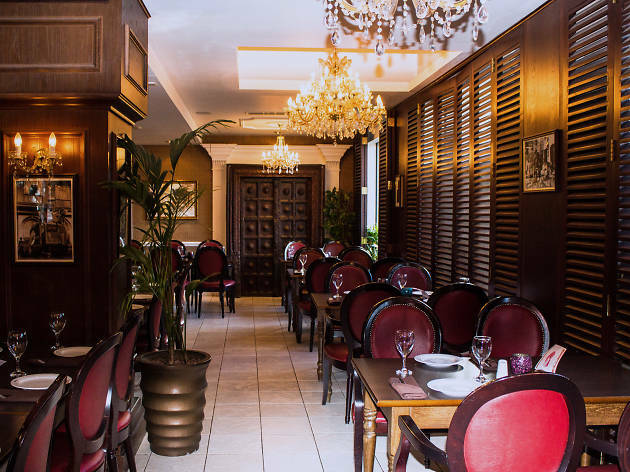 They will have loved its signature dark wood finishes and plush soft furnishings, and not least the menu of expertly cooked North Indian classics. And so will you. 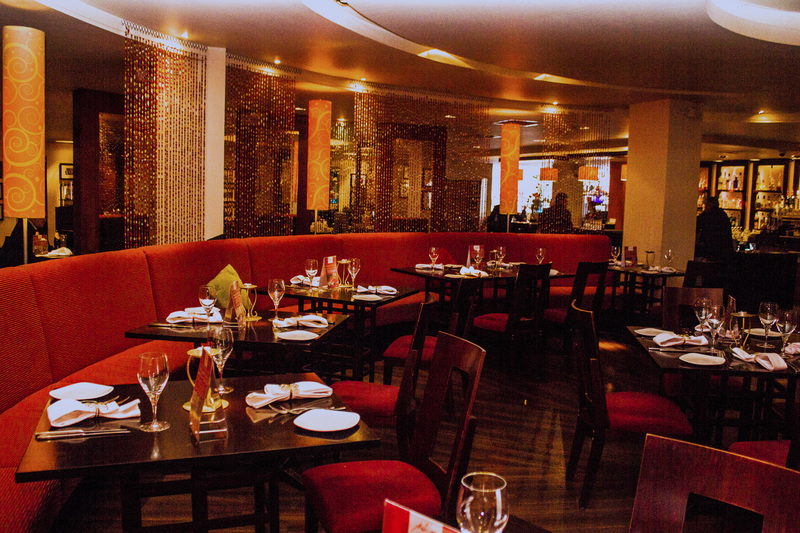 Birmingham has long been famous for its South Asian cuisine, with a proliferation of curry houses, balti restaurants and Indian eateries. However, there are a few that have risen above the crowd and carved out a superior niche. Itihaas is one of them. 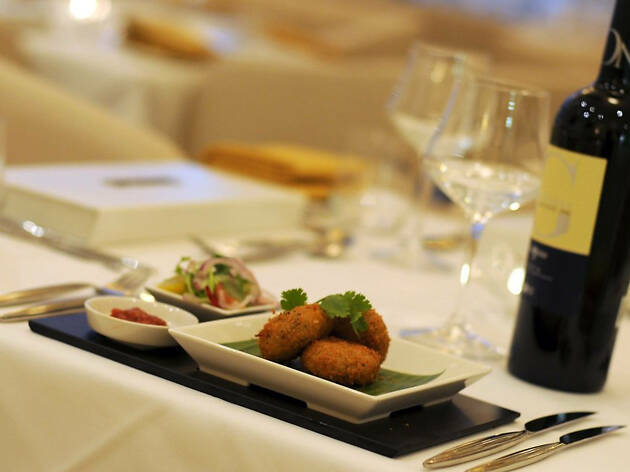 Well-placed at the boundaries of the historic Jewellery Quarter and the Colmore Business District, Itihaas has long been popular with hard-to-please corporate professionals. Nowadays, however, it is also attracting growing admiration from Birmingham’s army of dedicated food lovers. 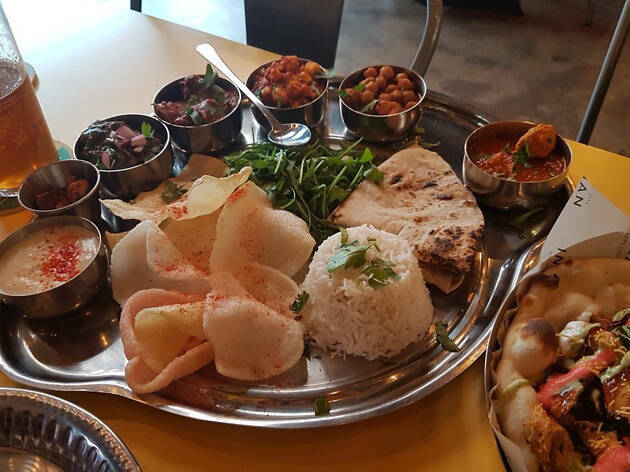 Hall Green’s Raja Monkey is slightly more forward-thinking and embracing of modern marketing methods than other South Asian restaurants, presenting a range of thalis and street food in a breezy, accessible manner. The artfully aged interiors aim to evoke nostalgia for the roadside diners of India, although, of course, their own dining room is decked out with all mod cons. It’s not the cheapest of eats, but prices are competitive. Steel serving-ware adds to the canteen vibe. 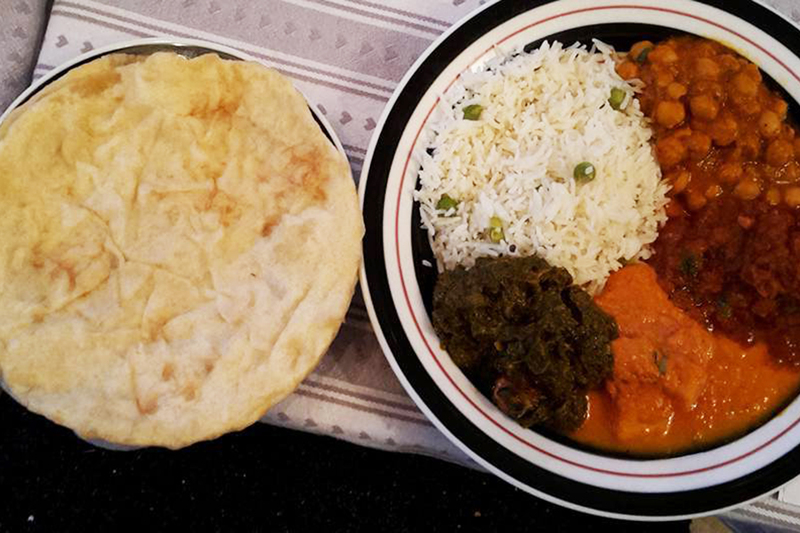 Birmingham now has its very own brimful of Asha right on Newhall Street. 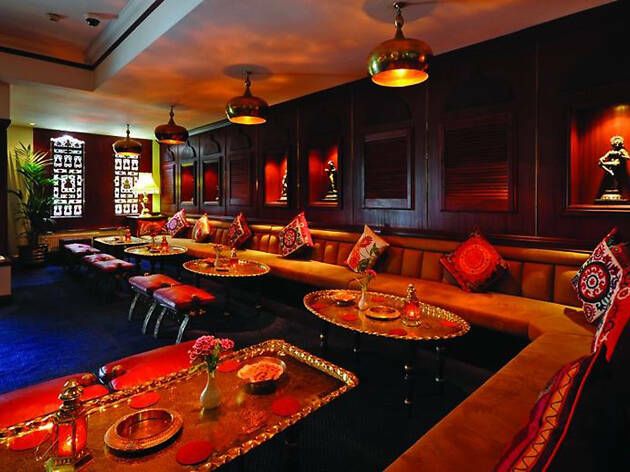 Following on the success of restaurants in Kuwait and Dubai, this is a place where fans of Indian music and Indian food can combine their passions. 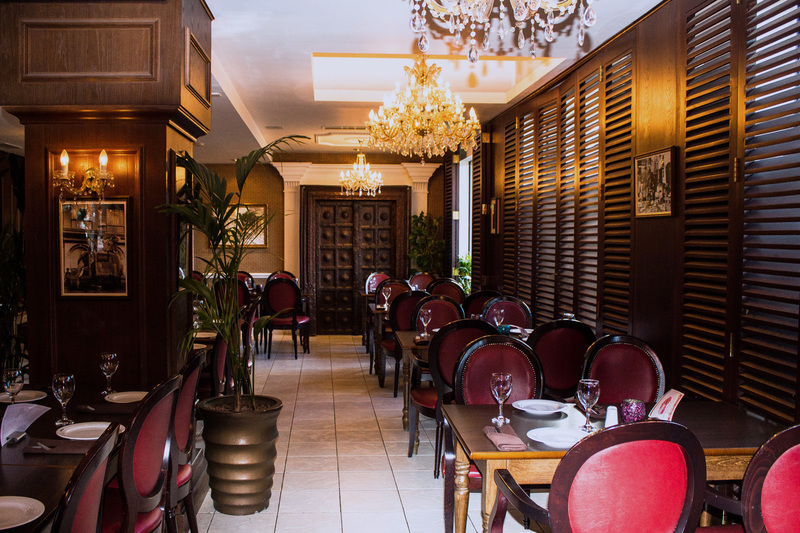 The space is large but intimate, decorated in a warm, welcoming style. And if you were concerned about theme-ish menus, worry no more, from the fabulous tandoori kebabs to the unmissable curries, you’ll be singing the praises of Asha’s food all the way home. 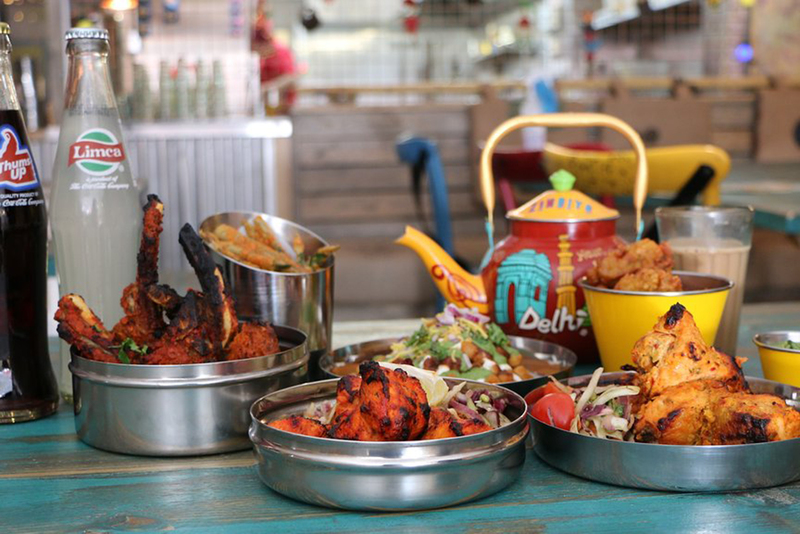 This colourful Indian street food joint plays on tradition but jazzes it up for the city crowd. 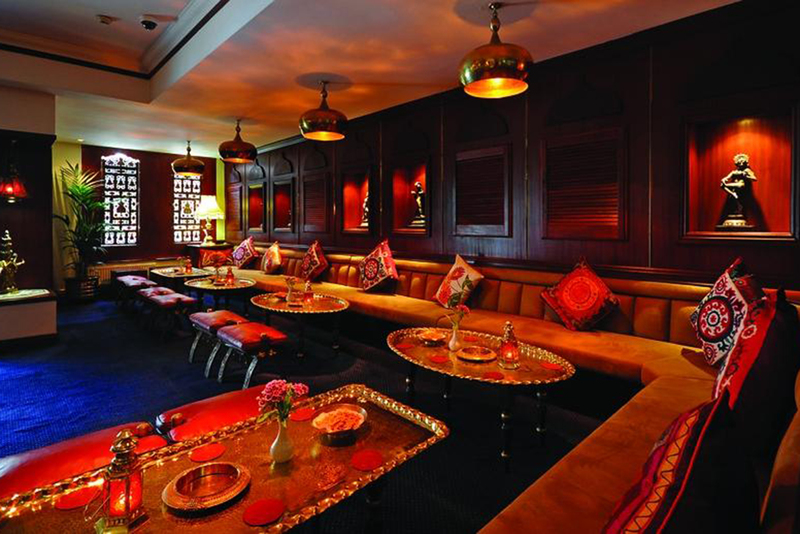 From the décor – mismatched furniture, exposed brick walls, big murals of Indian brand logos – to the thalis, the selection of which include pani puri (potato and chickpea dumplings), chilli cheese on toast and okra (ladies fingers) fries. 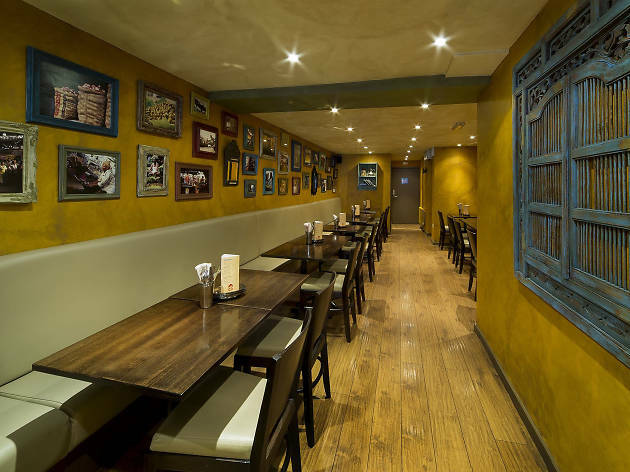 Amongst the craft beers, you'll also find lassis, masala chai and Indian soft drinks. 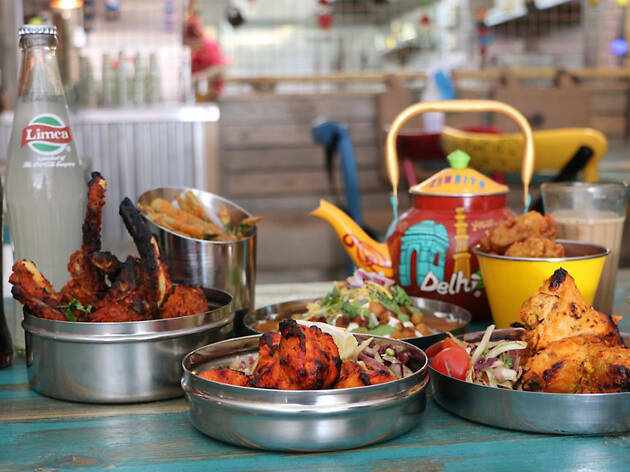 Combining the crisp craft beers of the Indian Brewery Company with a tantalising take on Indian street food, this cool and colourful spot under the railway arches on Snow Hill is a must for hip spice addicts. 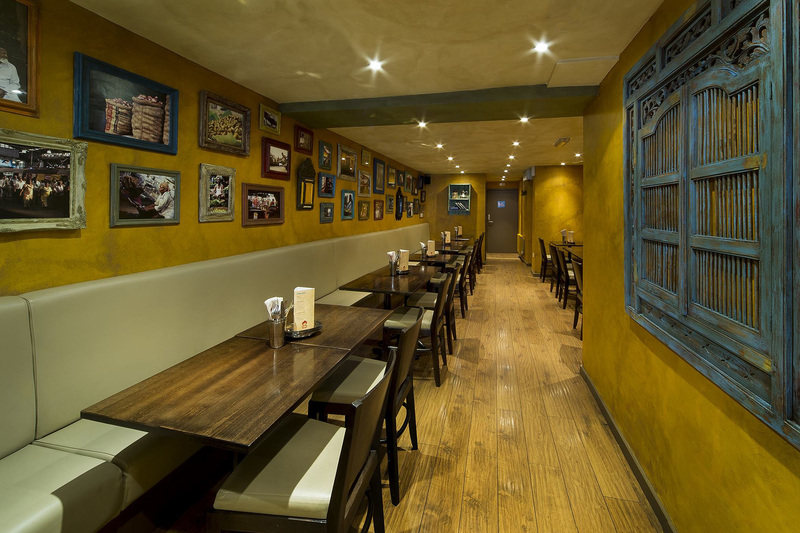 Exposed brickwork slapped with Bollywood posters gives the place a downtown Delhi feel, while the fat naans with chicken, veg or chilli fish and Bombay sprinkle go perfectly with a pint of Birmingham Lager. 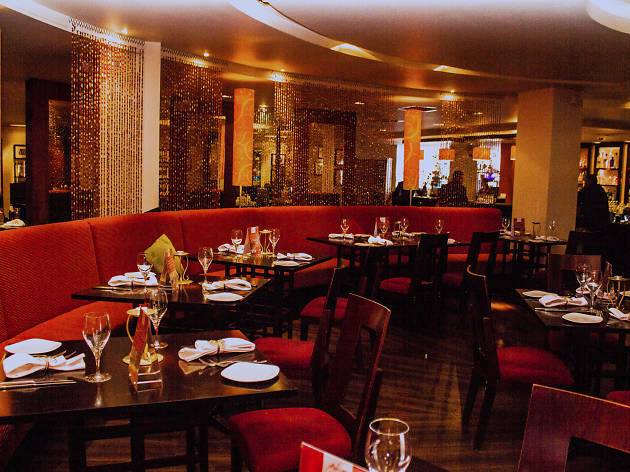 Recently named the best restaurant in the Midlands at the National Curry Awards, this Broad Street favourite is a classy refuge on the city’s craziest nightlife strip. But it’s far from dry, as the lavish cocktail bar proves. 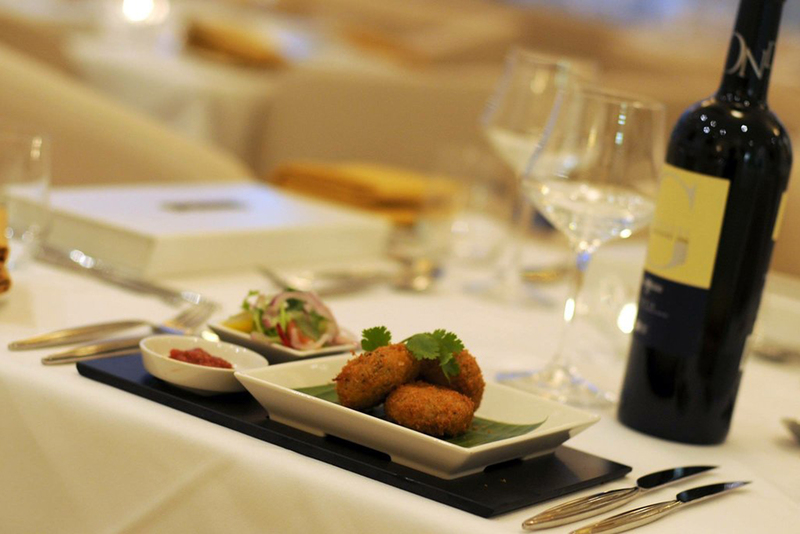 Have a signature mojito before getting stuck into a strong menu of Punjabi and north Indian dishes. A firm hit with the Indian cricket team, who frequently pop in whenever they’re playing at Edgbaston, Pushkar is an accomplished all-rounder that’ll really bowl you over. 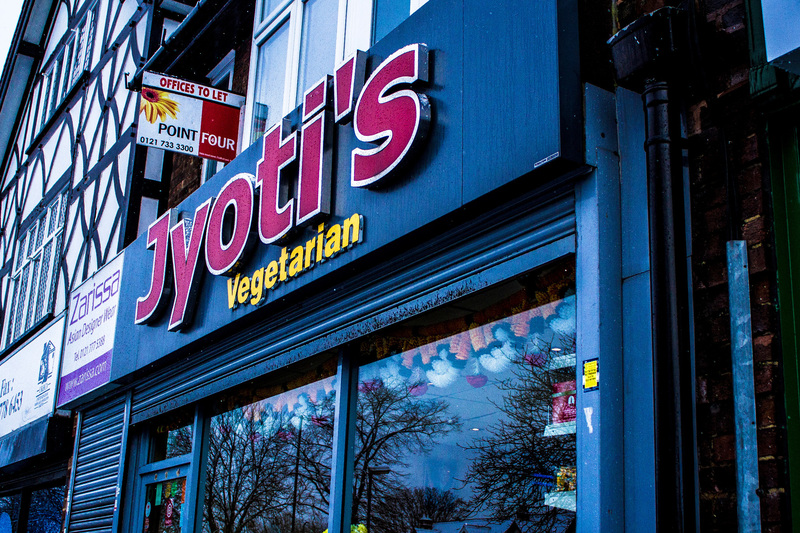 Birmingham hardly abounds with Gujarati veggie restaurants, so Jyoti’s isn’t competing in a crowded market and could almost get away with being bad. But it’s not. After a single, sublime meal, even rampant carnivores will grudgingly admit that omitting meat does not mean an absence of flavour. 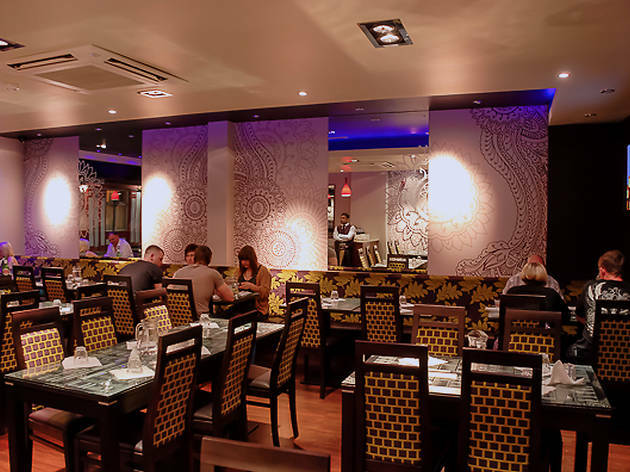 Digbeth Dining Club stalwarts Indian Rasoi have found a permanent home on Bennett’s Hill, so now you can eat vibrant and traditional Indian street food without being out on the street. Expect the same high-quality chaats (the deconstructed samosa with chickpeas and pomegranate offers something a little different), as well as some firm family favourites like Cannon Hill Parkpicnic (potatoes and peas tossed in herbs and spices) for a dash of local flavour. Since the early 1990s, Al Frash’s fluffy naans (cheaper than the proverbial chips, but rather nicer) have been used to scoop up every single smear of sauce directly from the restaurant's cast iron serving dishes. 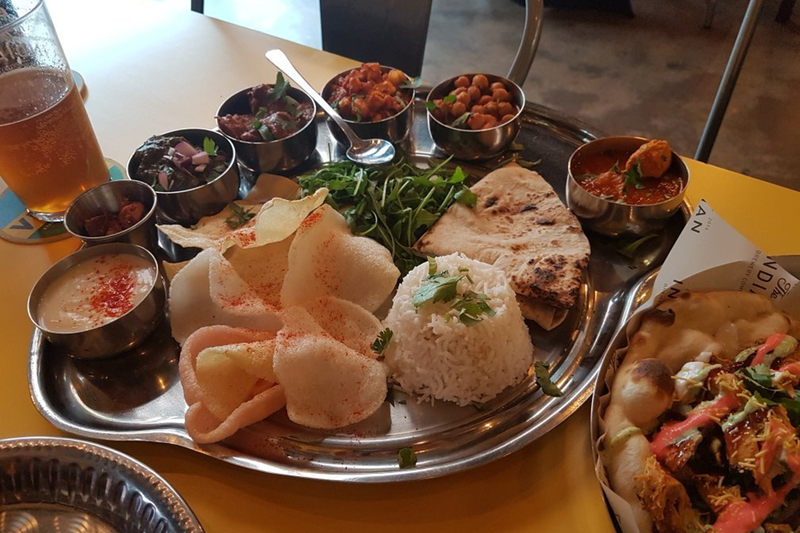 The pun-packed menu goes on and on; your best bet is to enlist a waiter to help you build a balti to your own taste, or pick a dining companion who knows their Afrodesia from their White Rose. A few years back, Shababs’ decor might have been described as a little lacking. 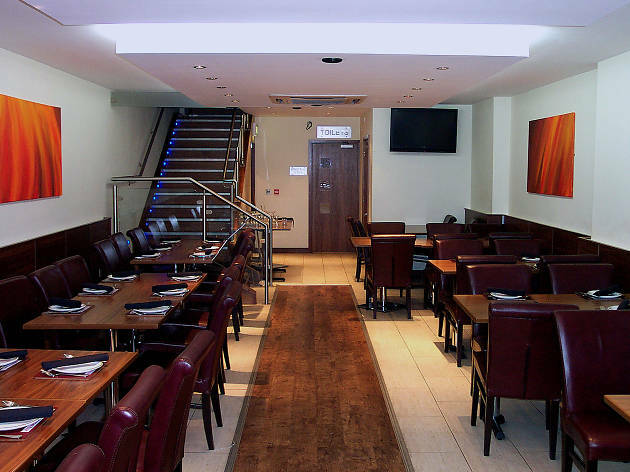 True, as it is one of the few remaining original Birmingham balti houses, the experience is understandably all about that dish, but a judicious makeover will definitely make you enjoy the environment that bit more. Unless, of course, you’re pattern-phobic, because swirls, paisleys and graphic prints are all over the place – from the walls to the soft furnishings. 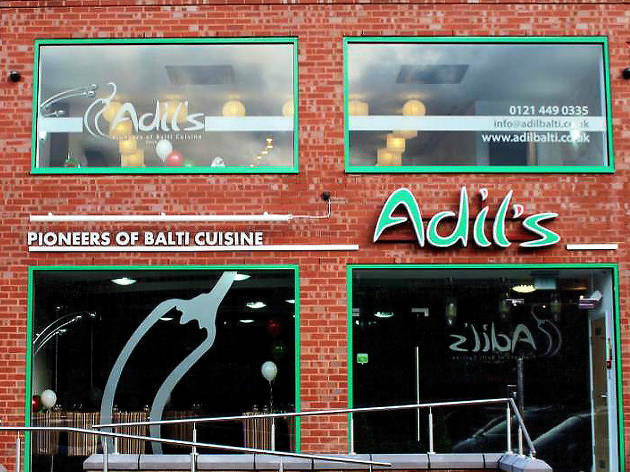 Adil's has been selling balti by the bucketload ever since the dish arrived in the city in the mid-70s, and the combination of rock-bottom prices and top-notch fare has earned the restaurant a just reputation as one of the best balti houses in Birmingham. After a temporary relocation, it is is now back in its original Stoney Road site – albeit having undergone a slight facelift. 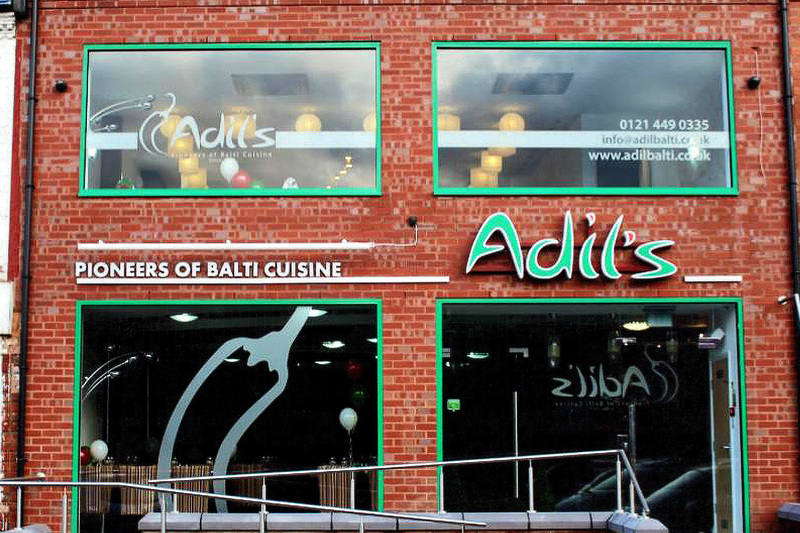 The menu might be concise compared to others, but Adil’s offers the option of creating your own balti from a list of main ingredients, sauces and spice levels, including as many extra veggies or protein types as you see fit. 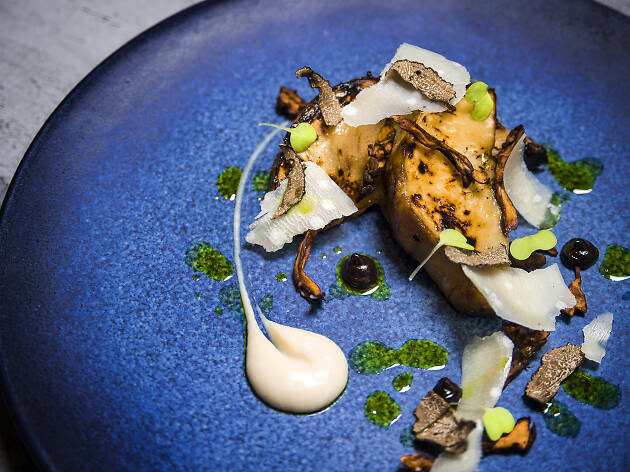 Soho Road might be spoilt for sweet centres, but that only makes it harder to choose when you’re unsure which ones are worthy of your time, cash and appetite. Perennially popular Milan’s is the place to pick if you’re in the market for fried-before-your-eyes, top-drawer pickles and pakoras that will cost pence, not pounds. At the vegetarian sweet centre, farsans refer to furiously tasty savoury Gujarati titbits, such as Milan’s moreish kachoris: ball-shaped, stuffed, deep-fried croquettes, seasoned slightly sweetly in the typical manner of the region.